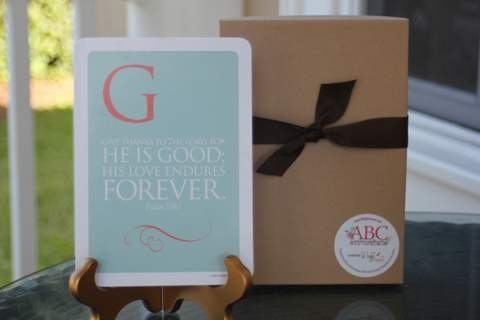 I recently found these adorable ABC Scripture Cards thanks to Dina! I thought they would be wonderful for Eliza's Easter basket, I even snagged one for her boyfriend one of her little buddies. There are 26 cards that go through the alphabet and each card has scripture that starts with that letter. It comes with a cute little stand, or a magnet to hang them up. It even came in an adorable box that I didn't have to wrap to give to my friend! 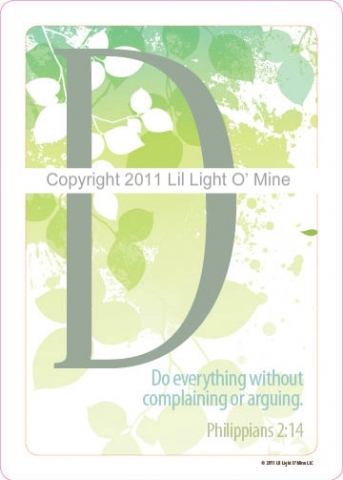 These are a great way to learn ABC and scripture!! Don't take it personal Eliza, this just so happens to be the one I picked for example.